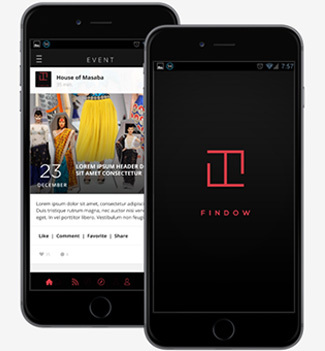 Fashion discovery app Findow has received an undisclosed amount in seed funding from Raj Singh Bhandal, director at Next Media Works, it said in a statement. The app, run by Findow Marketing LLP, introduces shoppers to brands, boutiques, retailers, designers and stylists. It also helps shoppers locate fashion retail stores and purchase offerings from designers. The capital will be used to grow the brand in metros and key tier-two cities where luxury shopping is growing at a faster pace, it said. "Targeting an untapped market gap, Findow is connecting consumers to offline fashion brands around them by leveraging personalisation capabilities of the mobile device. There is a growing demand for fashion with consumers becoming more aware and informed of brands from around the world," Bhandal said. The startup was founded by Zarine Ahmad Bajaj and Himanshu Kumar in July 2016. It claims to have brands such as Gucci, Dior, Hermes, Ritu kumar, Manish Arora, Anju Modi and Rahul Mishra on its platform. Several startups in the fashion discovery space have raised investment recently. In April, Roposo, a leading player in the segment, raised $5 million (around Rs 34 crore) in the second leg of its Series-B round from Bertelsmann India Investments (BII). It had raised $15 million from Tiiger Global Management in August last year. Fashion discovery app Wooplr received an undisclosed amount of funding from InMobi and TaxiForSure founders in March and $5 million from Helion Venture Partners in February last year. In June, Gurgaon-based Prachalit Infomedia Pvt. Ltd, which runs social fashion network Shopwati, raised an undisclosed amount in seed funding from boutique investment company SRKK Advisors. Prior to that, Mumbai-based Hippily Technology Pvt. Ltd, which operates shopping personalisation app for women Hippily, raised $250,000 in seed funding.